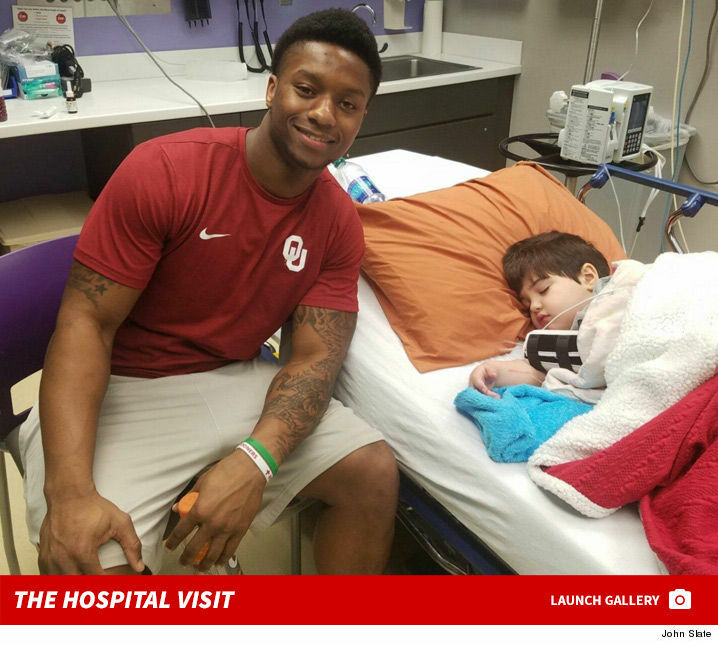 Joe Mixon is getting props from the father of a sick 5-year-old Oklahoma Sooners fan … after the controversial football star made a secret visit to a children’s hospital this week to hang out. We’re told Mixon got word that 5-year-old Cooper had been hospitalized with an infection — the latest in a slew of serious medical issues he’s been battling over the years. TMZ Sports spoke with Cooper’s father, John Slate, who tells us Mixon privately reached out and asked if he could come by the hospital to try to cheer everyone up. He got the green light and arrived around 9:30 PM on Tuesday. We’re told Mixon asked to come late to minimize the chance of people recognizing him. Slate says he was so blown away by Mixon’s kindness … he’s going to write a letter to every NFL team owner and GM to let them know what Joe did for his son. And no, Joe didn’t ask him to do it.